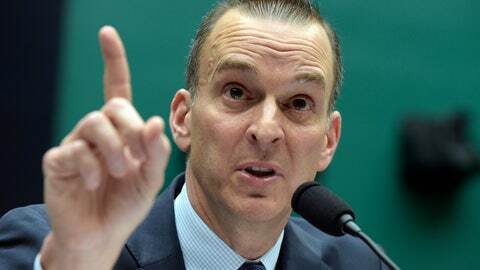 Travis Tygart, the CEO of USADA, said he wasn’t surprised at the high percentage of athletes who feel they’re part of a “win-at-all-costs” culture. “It is exactly what we hear from athletes about why they chose to dope when they have, and why we must change this culture if we hope to fully return the playing field to clean athletes,” he said. But when asked if they would be tempted to use PEDs under a variety of circumstances, including if their coach recommended it, no more than 9 percent of the athletes responded “yes” to any of the scenarios. Only 7 percent of the respondents said they had been tested more than 50 times over their career — an interesting figure during a summer in which Serena Williams has suggested she’s discriminated against because she gets tested more than most tennis players. The plurality, 36 percent, said they’d been tested between once and five times. Authorities commonly increase the number of tests for high-ranked players and players coming off long layoffs. When asked how other anti-doping programs compare to USADA, 34 percent said they were less effective or not effective, while 49 percent replied “I don’t know” — a high number in an era in which Olympic sports have been bombarded by a stream of reports about Russian doping . Thirty-five percent disagreed with the notion that their international competitors were adequately tested when compared to themselves. “Certainly, the Russian state-sponsoring doping scheme showed that there are major international players not running an effective anti-doping program, but actually running a “dope to win” program,” Tygart said.